Is it fair to say that the great Arnold Schwarzenegger peaked very early? At least in terms of public reputation, the Austrian Oak has slowly fallen ever since he peaked as a bodybuilder. After becoming the world’s most popular bodybuilder without a doubt in 1975 with the film “Pumping Iron” and his record sixth Mr. Olympia win that year, it was all downhill for Arnold since then. He did become a successful actor, but he always had critics and naysayers voicing themselves much more than during his bodybuilding days. Slowly his acting career began to fizzle and he then became the Governor of California. He learned very quickly that being a politician meant leaving the majority of the public either disappointed or angry. By the end of his run as governor, his approval rating was nothing to brag about. Now, his legendary lust for women has finally caught up with him once and for all. The story has been headline news that The Governator not only fathered a child with another woman while still married to Maria Shriver, but he did so with one of their employees. It is now being made public that the child was born within days of the birth of one of Arnold’s sons with Shriver. This implies that Arnold was sexually active with his wife and his housekeeper, Mildred Patricia Baena, at the same time. The name of the maid comes from a report issued by the New York Times. The child was born three weeks before Baena and her then husband legally separated. Baena is Guatemalan and worked for the Schwarzenegger’s for twenty years. While it is right to place much blame on Arnold for his act of infidelity and then keeping the act and the child from his wife, his current efforts should be recognized. He has finally owned up to his actions and has taken the responsibility. He has put himself in the spotlight in an effort to keep reporters and the media from harassing Maria Shriver and their four children. Arnold is now working on making sure that the family stays together in at least some sense. Sources say that he is still in close contact his wife and children and has personally apologized to them all. 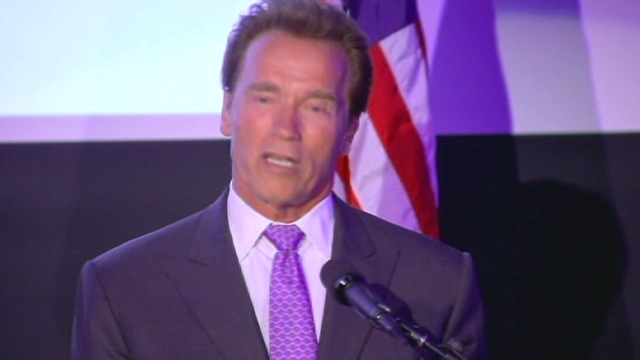 Arnold has vowed to do whatever it takes to fix what he has done. He is reportedly willing to do anything his family asks of him as he wants nothing more than to continue on into the future as a secure, loving, family unit. All signs point to Arnold, Maria, and the children all being very committed to working on repairing all of the damage.